Adam Brown is doing a fundraiser for cancer, based on his performances over the season. Donate here. The home of friendly Sunday cricket in Oxfordshire. Middleton Stoney CC (near Bicester) play every Sunday against local, nomadic and touring cricket clubs. We play for fun, try to match our oppositions strength and enjoy our beautiful ground. Get in touch via www.middletonstoneycc.co.uk/ to request fixtures. 12th April 2019, 7.30pm start. The club has secured the services of Welsh rugby league legend Jim Mills as the guest speaker and Dragon Hog Toast are providing the catering, tickets are £10 pp. Details available from @YCCSocialevents or @markynys1847 . Based in Crouch End, North Middlesex CC boasts five Saturday XIs, four of which currently play in their highest possible divisions in the Middlesex County League. Our first XI has finished in the top three of the Premier League for the last three years, while the second XI have won three consecutive Second XI Premier League titles. The third XI also won their division in 2018, while in 2017 the club won the Middlesex T20 Trophy for the third time in four years and the Middlesex Cup. We have been the top side in the county based on our top four teams' performance for the last two years. We have three state-of-the-art all-weather nets, while we run training sessions throughout the winter and summer, with indoor nets starting on 12th February (please get in touch for further details). We have thriving senior and junior sections, with over 200 juniors (boys and girls). We regularly produce top-level juniors – two of whom were in the England Under-19 squad for the 2018 World Cup. Off the field, we are renowned for being friendly, welcoming and collegiate. We have an excellent ‘one club’ feel, with teams returning to our ground to socialise after games and regular club events throughout the season. Cheshire Gentlemen Cricket Club are seeking opponents for the 26th June at York during our annual tour. We are on tour but our opposition that day are unavailable. We have a lovely ground available (actually choice of three) and we are genuinely a mixed-strength side with squad ranging from overseas players, Minor County/Premier League down to village players. We also offer a choice of formats. We usually play all “time” day games starting at 11.30 with a proper lunch and teas but will consider a shorter format. So if you are an overseas or UK touring side visiting Yorkshire or a more local outfit we would love to hear from you! Based in Surrey, Ashtead CC has four Saturday XIs, of whom the 1st, 2nd and 3rd XI play in their respective Premier division of the Travelbag Surrey Championship, and a Sunday XI competing in the Surrey Village League. 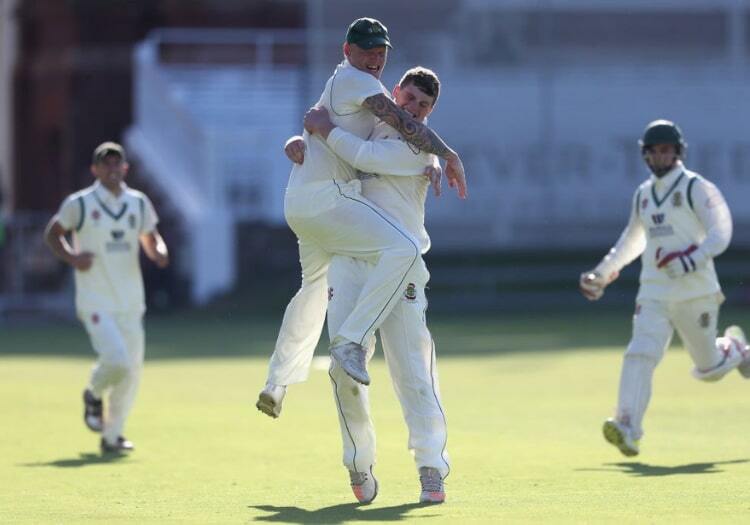 The 1st XI finished third in the Premier division of the league in 2018 after its third year of competing in the top tier. In 2014 the club reached the National T20 finals day at Northampton’s County Ground as a Division 2 side, only just missing out in the final. Additionally, they won two back-to-back league titles in 2014 and 2015 to reach the Premier division. The club has recently invested in a four-lane all-weather net system at the club’s main ground in Ashtead and runs training sessions throughout the summer and pre-season from February starting on 26th February. We have also purchased the PV Match system and will have a live feed for matches at our home games for the 2019 season. The club has a large junior section, with over 400 girls and boys. The club’s philosophy is to invest into a professionally structured coaching program to have a pathway through to the senior section. Ex Surrey CCC and current Warwickshire batsman Dom Sibley is an Ashtead lad who is still linked closely with the club. We are a very ambitious, friendly and social club in very tranquil part of Surrey and would welcome new playing members of all abilities. The top cricket club in the north Herts/south Cambs region. Twice winners of the National Village Cup at Lord’s. Three Senior teams playing in the Saracens Hertfordshire Premier Cricket League, with the First XI at Championship level. Friendlies and Cup matches on Sundays on the picturesque Village Green in Reed, two miles south of Royston. Senior indoor nets at Burloes Hall, Royston on Sundays until April. Colts’ (boys & girls) aged from 8 to 15 years in county Junior Leagues, (outdoor practices from April to July on Sunday mornings). ‘All Stars’ Cricket aimed at 5 to 8 year-olds. Sunday morning sessions for 10 weeks starting in May. Fully qualified ECB registered coaches. A varied series of social events throughout the year - Reed Cricket Club welcomes non-players as well as players of all ages and ability. Children aged 7+ are welcome to come to our indoor winter nets starting on Sunday 3rd February, 9-10am at Radcliffe Leisure Centre. No equipment needed, just bring a drink and wear sports clothes. First session free, £3 after. From April we will be back outside at Radcliffe Cricket Club on Friday nights, 6-7:30pm, £3 per session. For younger children (5-8 year-olds) we have our All Stars Cricket programme running on Friday nights from 10th May, 6pm. Booking will soon be available online pre register at http://www.allstarscricket.co.uk. Pay upfront for the eight-week course and receive a kit and bag full of equipment.